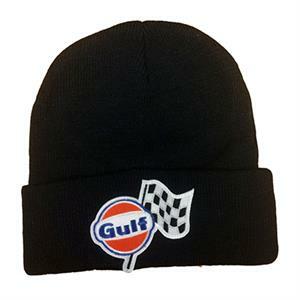 This Gulf racing cap has the look, feel, and attitude of a LeMans crew member. Look tired, but look good, in this classic look, cold morning, stocking cap. 100 per cent genuine Acrylic construction, with the world famous, Gulf Racing logo Officially licensed product of Gulf Oil LLC.